The New Gunslinger Hat - When it comes to a good western hat, don't settle for anything less. The New Gunslinger Hat is 100% rabbit fur and available in a variety of different colors; black, fawn, tan belly, chocolate, charcoal gray, silver belly, mist gray, and steel gray. This unique hat has a 4 3/8" teardrop crown, and a rolled raw edge brim that is available in different sizes. Let's not forget about the Royal Flush band to top it off! 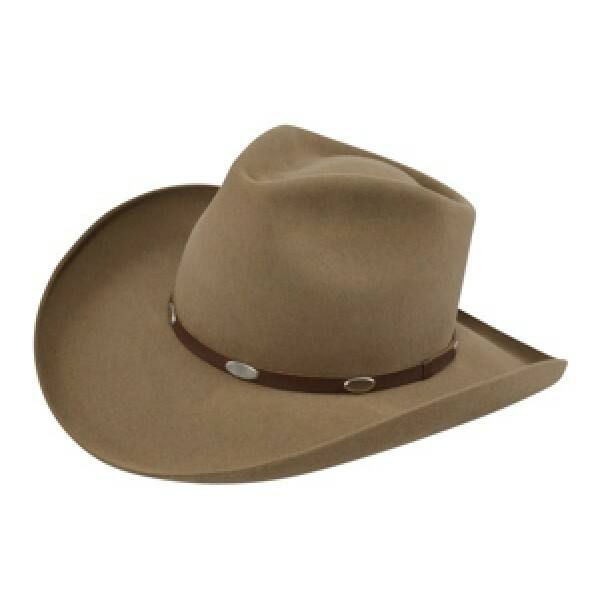 This is a top-quality hat with a great price.